An Indemnity Agreement enables to transfer risk from one party to another easily. Business people enter into indemnity agreements with other parties to protect themselves against employee lawsuits or claims for damages to goods or vehicles. They define various terms and conditions which help in safeguarding one’s business from unexpected lawsuits. They also mention the scope and duration of indemnity. 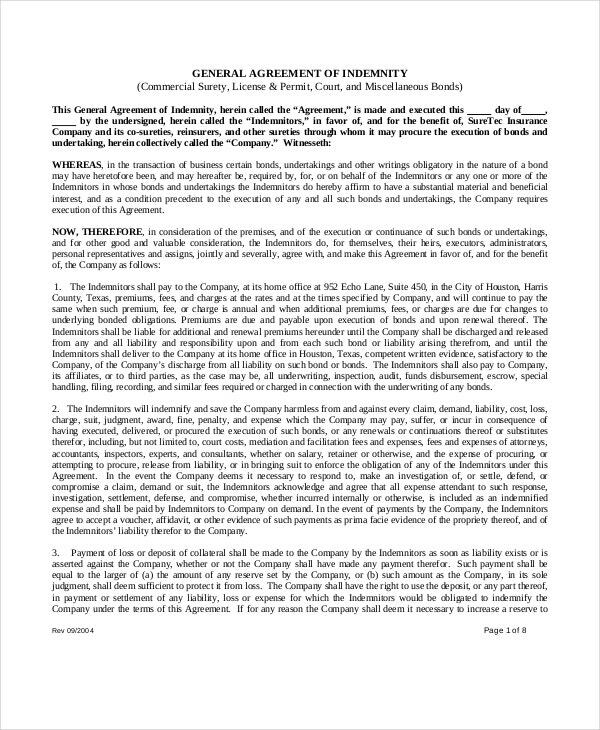 Breach of indemnity contract clause and penalty charges for breach of contract are specified in the indemnity agreement. 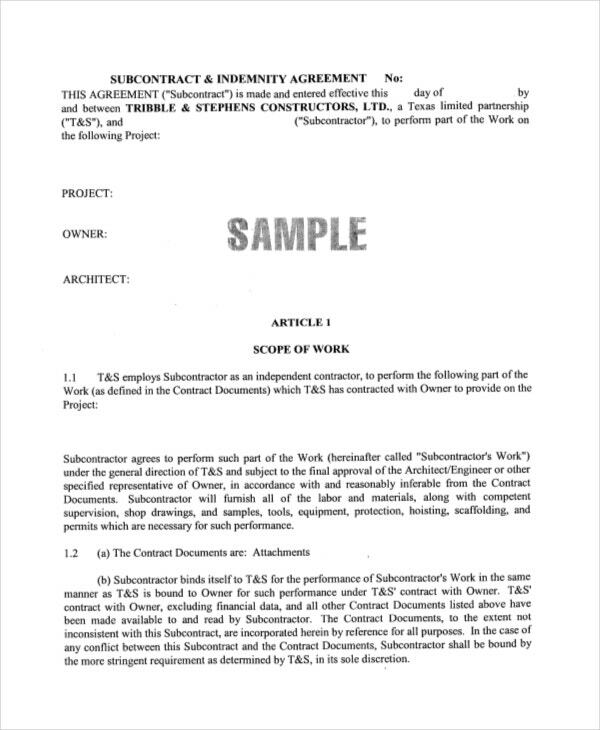 This indemnity agreement template is made between a research association and a member. It presents the member name and place of business. The agreement contains the details about trademark license, indemnification as well as other terms and conditions. 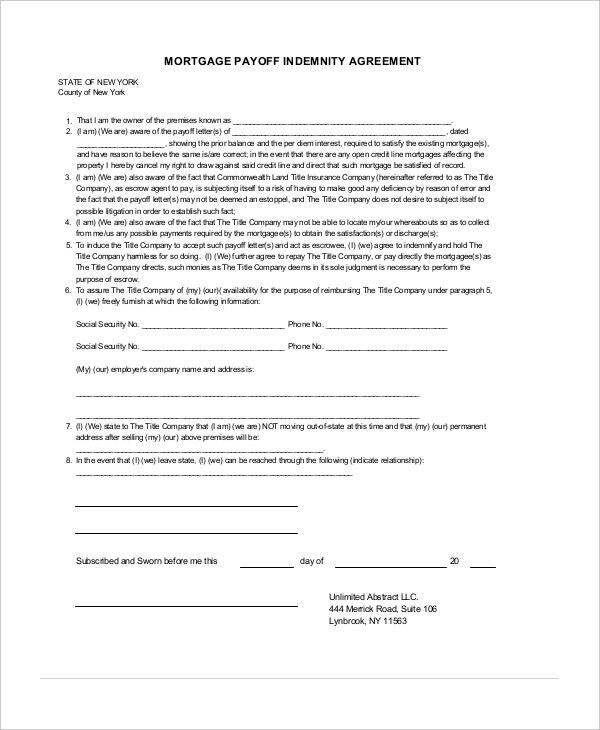 This general indemnity agreement presents the date of agreement execution, agreement terms and conditions, corporate company name, address, signature and individual’s name, address, and signature. It also obtains the signature of the notary public. 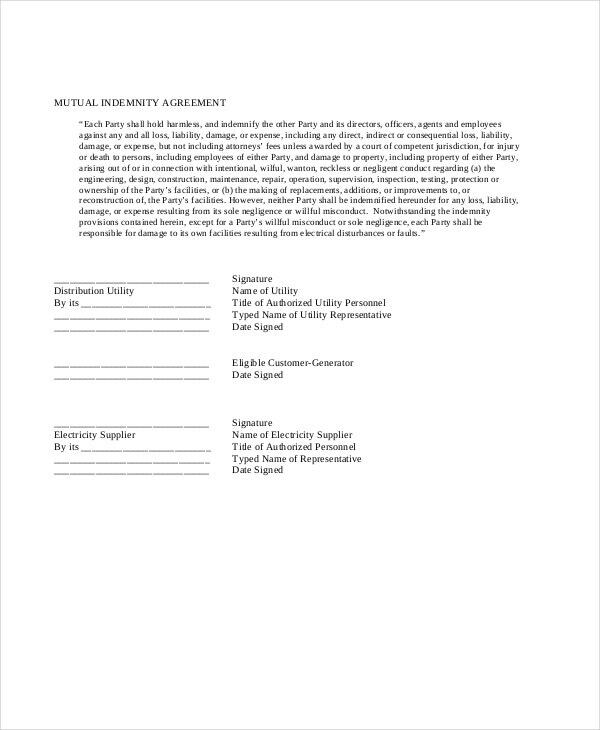 This mutual indemnity agreement presents the name of utility, title of authorized utility personnel, utility representative name, eligible customer-generator, electricity supplier name, title of authorized personnel, and the representative’s name. 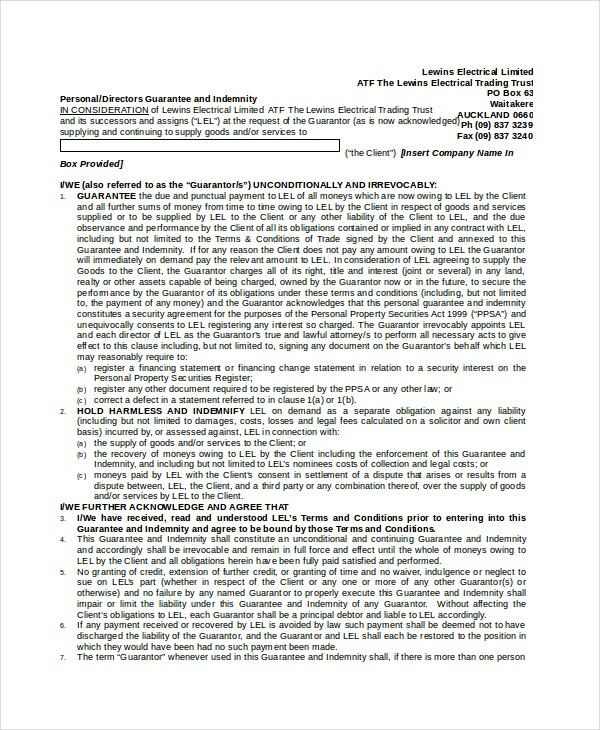 It also obtains the signatures of the representative of utility, electricity supplier, and customer-generator. 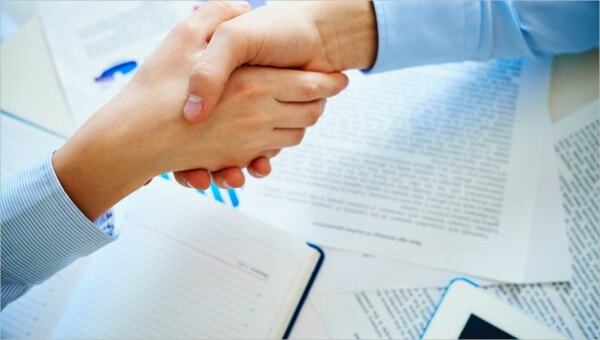 > What to include in An Indemnity Agreement? 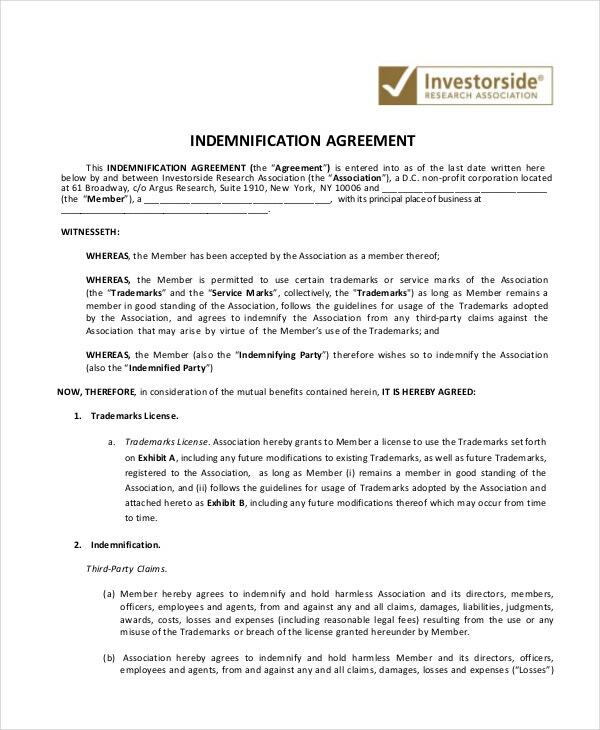 An Indemnity agreement includes the name and address of the parties that enter into indemnity agreement, agreement’s effective date, and period of the agreement. 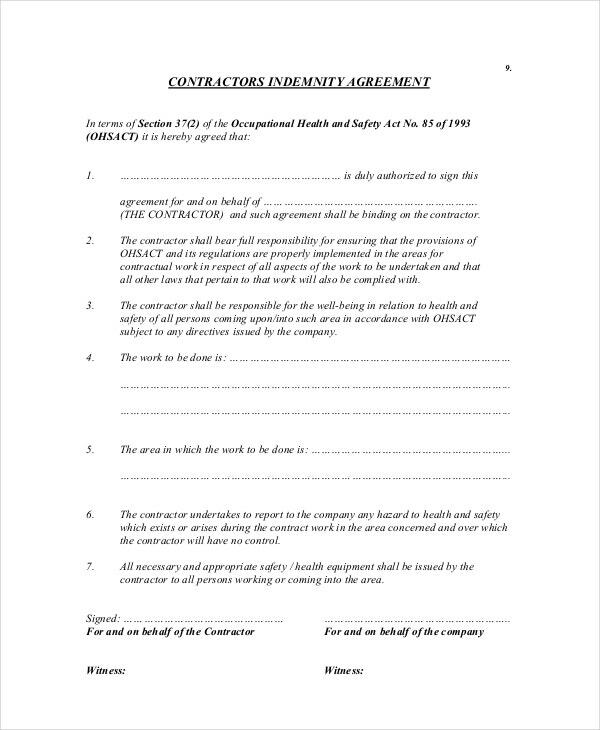 They frame various clauses which help to define the indemnity agreement terms and conditions effectively. They include policy claims and arrangements and details about claims that can be made for any loss or damage. They also mention claims procedures, rules, and regulations as well as policy cover details. 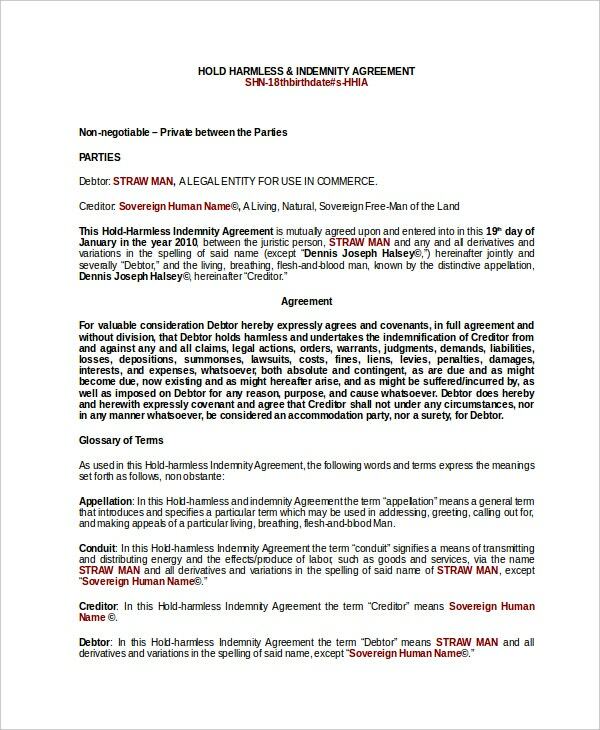 They provide clauses that mention governing law and amendments to the agreement as well. They also mention penal amount and obtain the signatures of indemnity parties, witnesses, as well as that of the notary public. 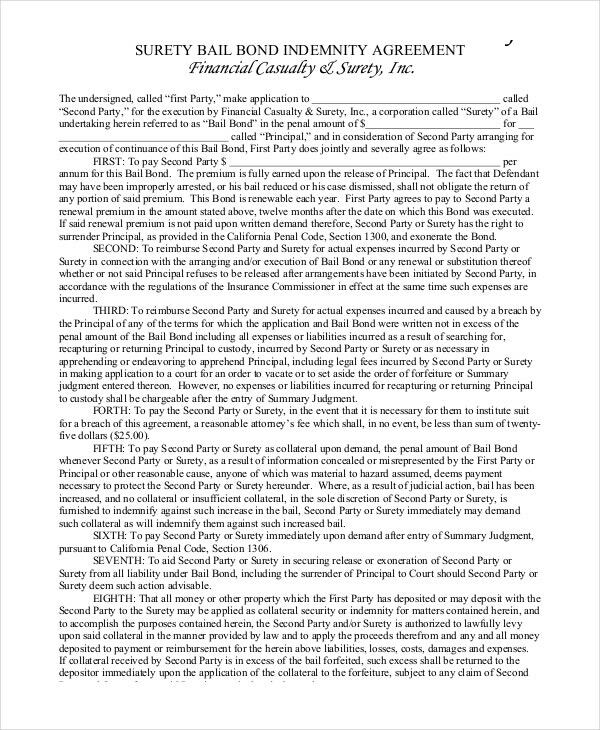 This surety indemnity agreement presents the second party name, principal amount, and details of first and second party agreement terms. It also mentions the amount to pay per annum by the first party to the second party, reimbursement details, breach of agreement fees, and date of the agreement. 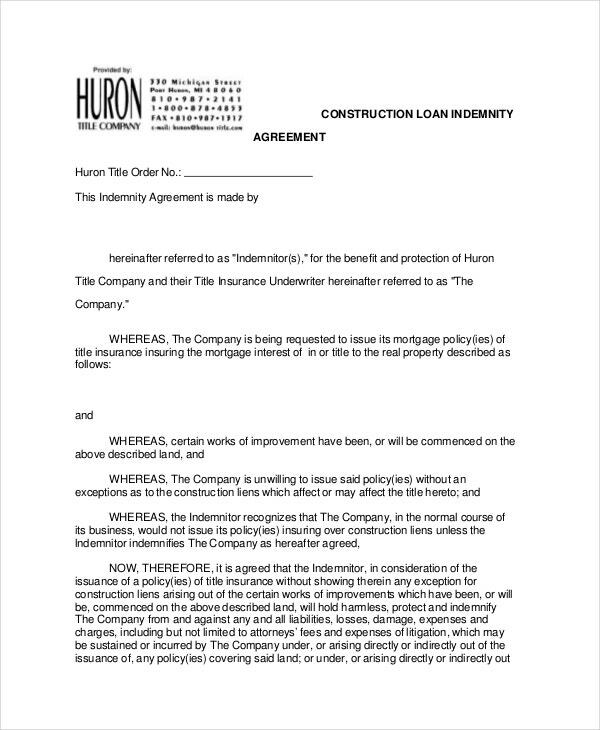 This developer indemnity agreement is between a housing developer and an insurance company for construction of housing units. 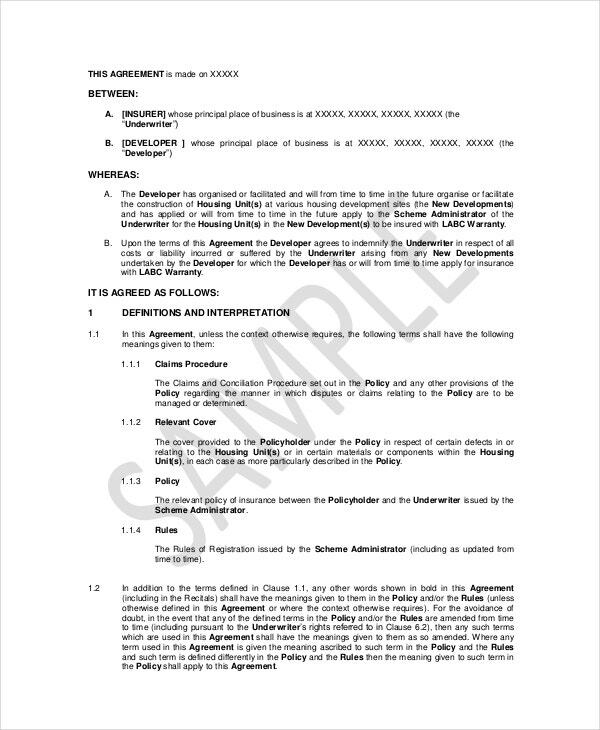 It presents the date of the agreement, insurer and developer address, agreement definitions, developer’s obligations and policy claims, and arrangements. > What are the Benefits of the Indemnity Agreement? They help in protecting the industries from any type of lawsuits from employees, customers, etc. They protect companies from paying compensation to their employees owing to accidents at workplace or work related activities. They also protect businesses like amusement parks from claims due to accidents. They help landlords to recover the compensation for any damages done to their premises by tenants. They help the businesses to protect against risks which can occur due to the negligence of third parties, while performing commercial transactions. They help to mitigate the loss for companies by including the risks involved. They help event organizers to conducts proceedings smoothly. An Indemnity agreement is an excellent tool for risk allocations and it helps in protecting the business effectively. They are widely used by many types of industries to protect their businesses. One can go through various templates that are available on the internet and select the suitable format for their business requirements.